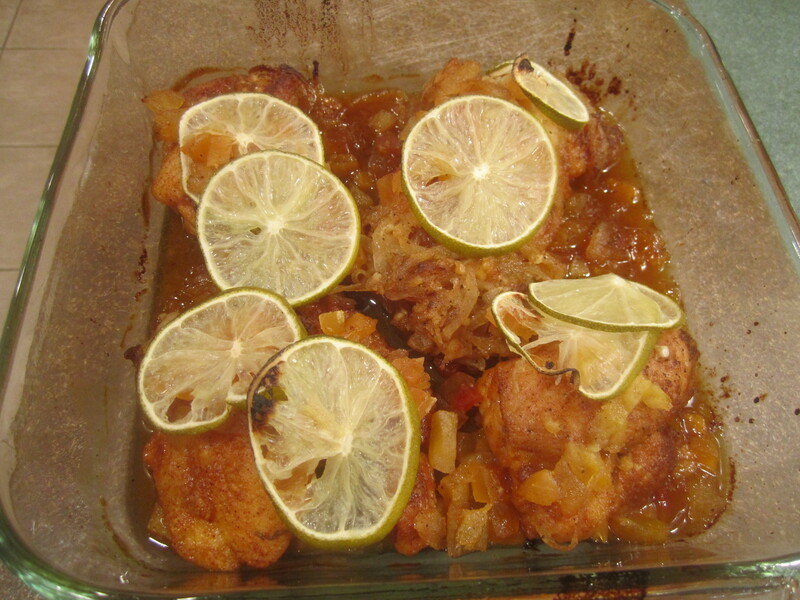 This is a delicious chicken dish from Cooking Light that I made for the first and only time in 2005. This is one reason why I am so happy to have this blog: it encourages me to go through my cookbooks and revisit recipes I have made before. So far in the past two weeks I have thrown out about 5 recipes that I had made once and now no longer feel are ‘Blog Worthy’ (this is the terminology my husband and I use when critiquing recipes: haha!). 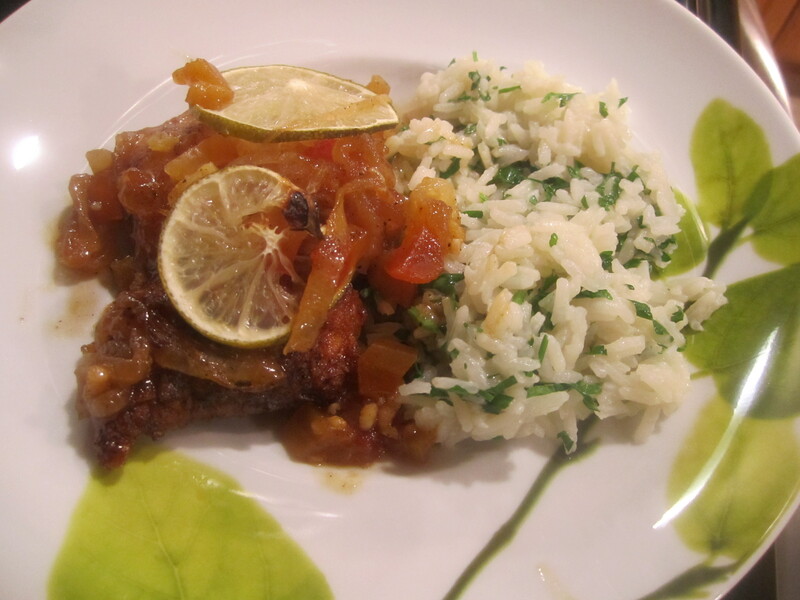 But this one was ‘very tasty’, so enjoy! 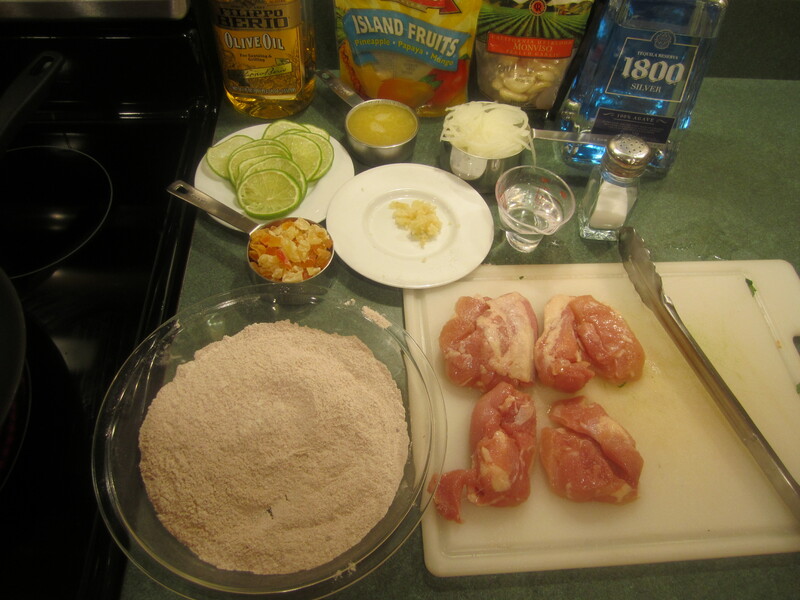 The original recipe calls for 8 chicken thighs. Since it’s only my husband and me, I only used 4 and it worked out great. And there was no need to reduce the other ingredients, either. Preheat oven to 400 degrees. 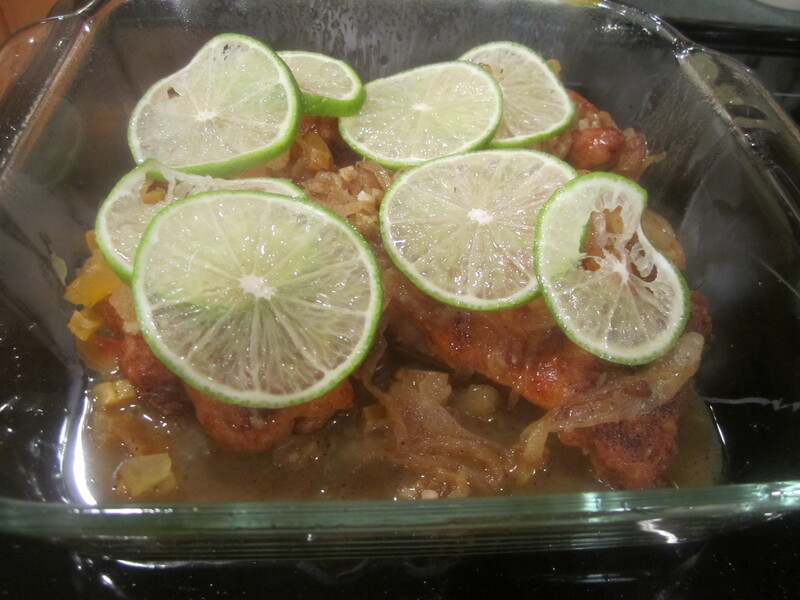 Canola oil spray a 9 x 9 inch glass baking dish (for 4 thighs) or an 11 x 17 inch glass baking dish (for 8 thighs). 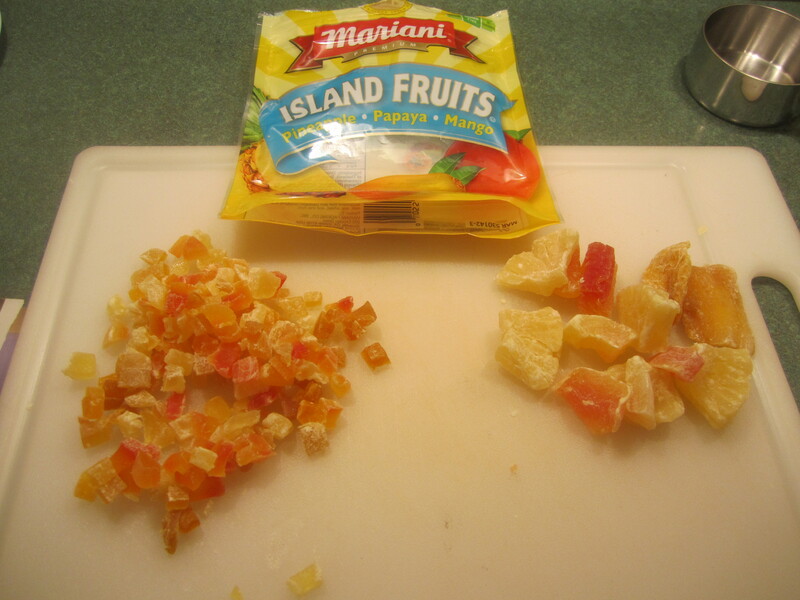 Combine first 3 ingredients in a glass pie dish. 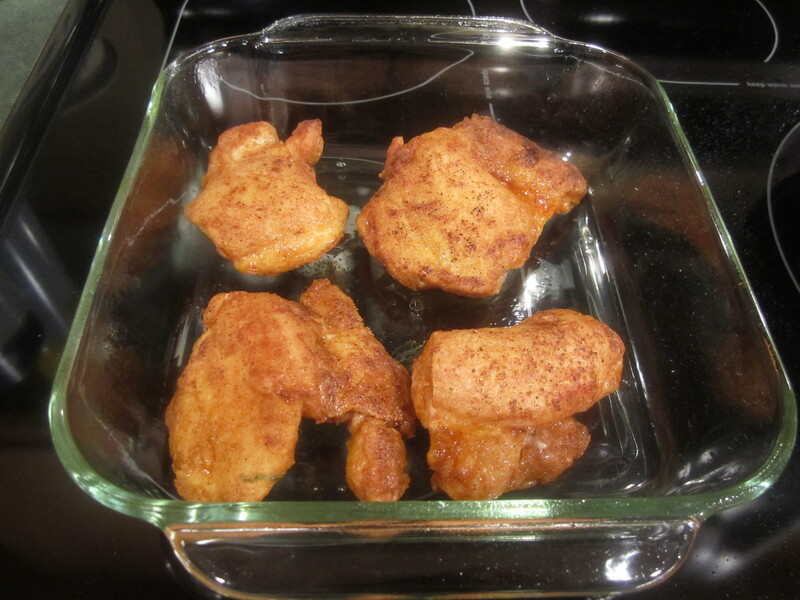 Sprinkle chicken with salt and dredge chicken in flour mixture. 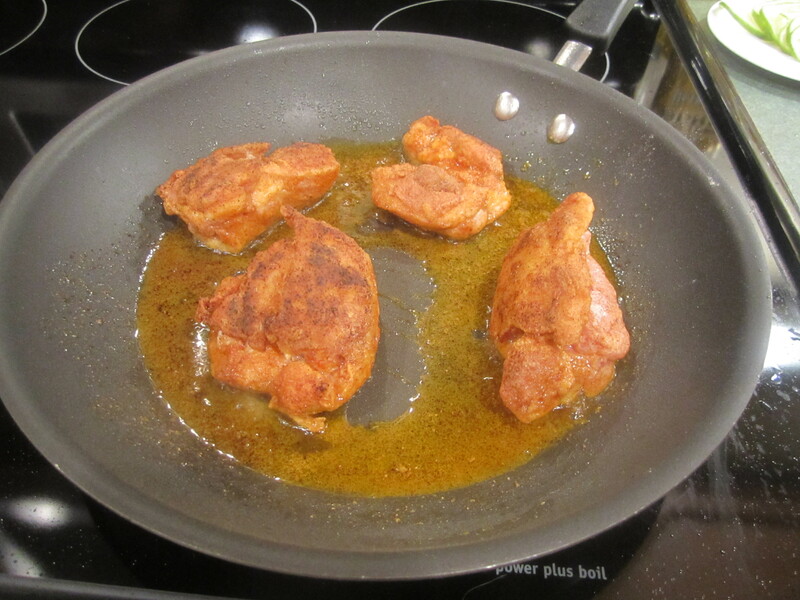 Heat oil in a large non stick skillet over medium heat and add chicken. 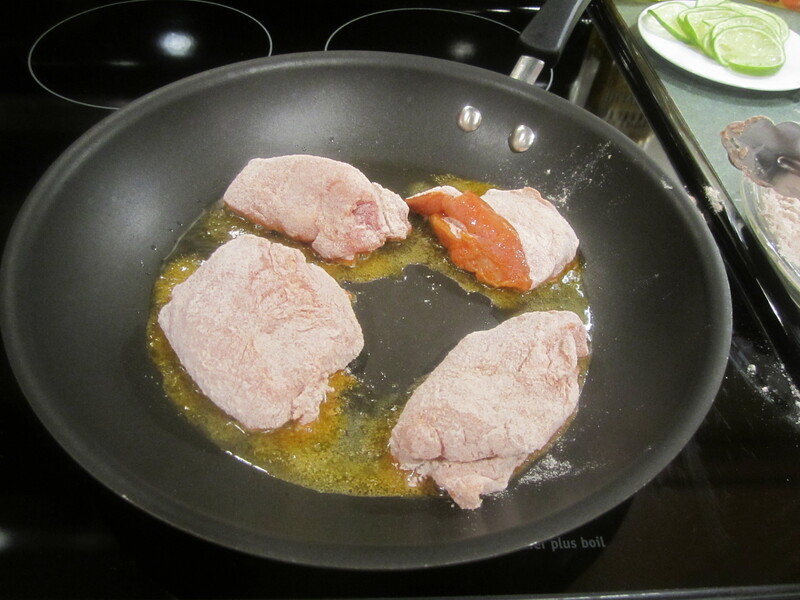 Cook for 3-4 minutes on each side or until lightly browned. Transfer chicken to glass baking dish. 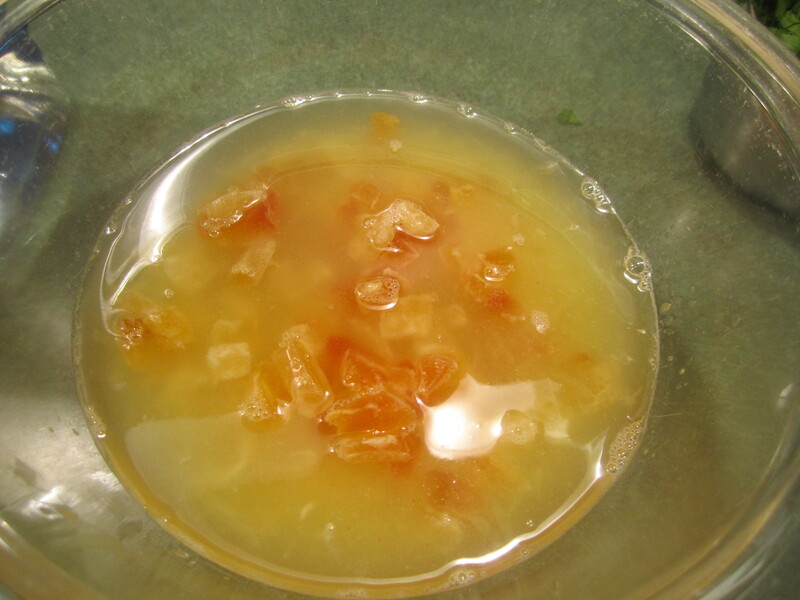 Combine dried fruit, juice and tequila in a medium glass bowl and microwave on high for 2 minutes. 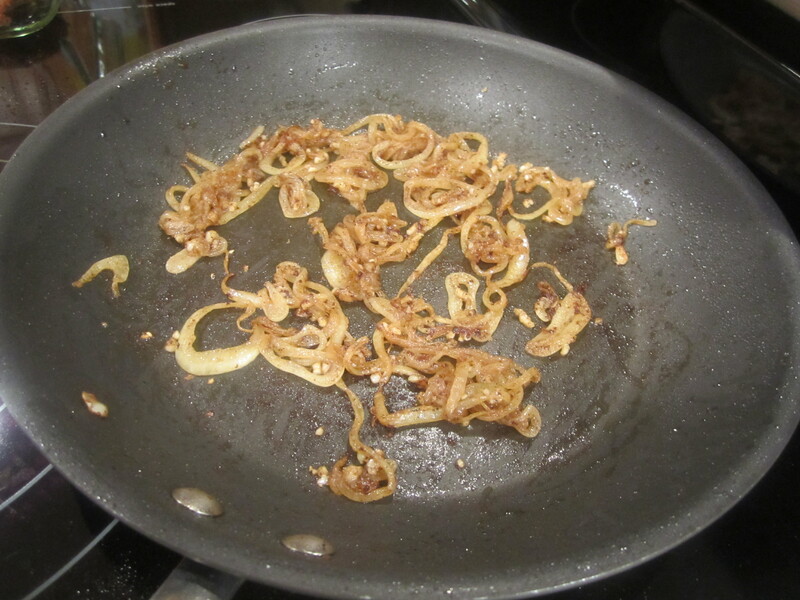 Add onion to skillet and cook for 3 minutes. Add garlic to pan and cook for 1 minute. Pour fruit mixture into pan, bring to a boil and cook for one minute. 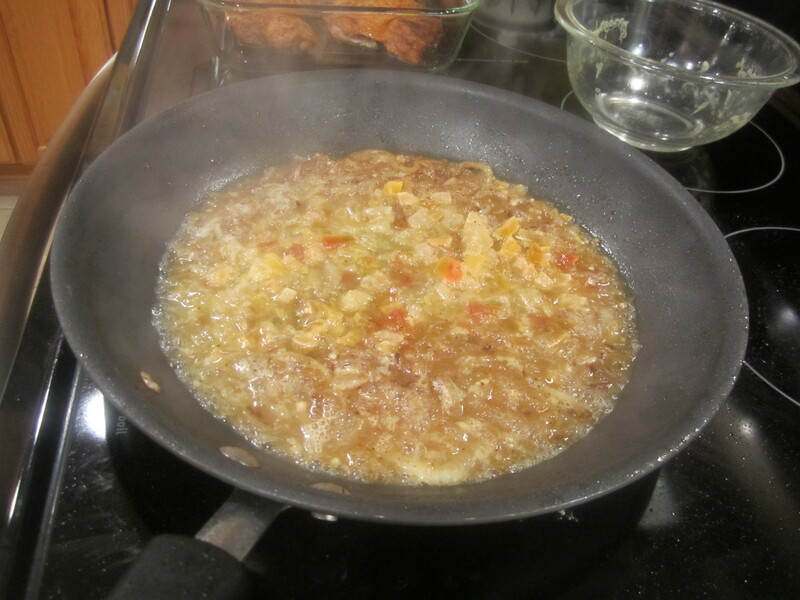 Pour onion/fruit mixture over chicken. Arrange lime slices on top. Bake for 20 minutes or until chicken is done. 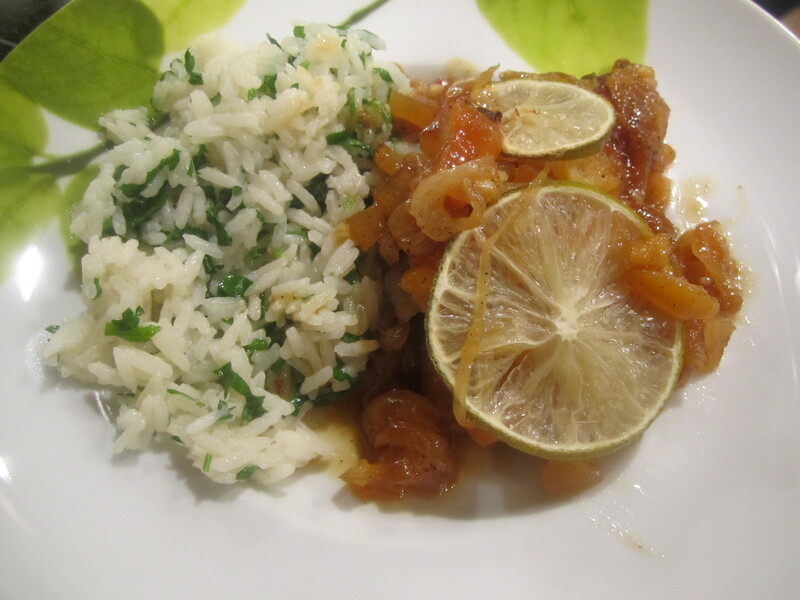 Serve with Green Rice. You can make the rice while the chicken is cooking in the oven. 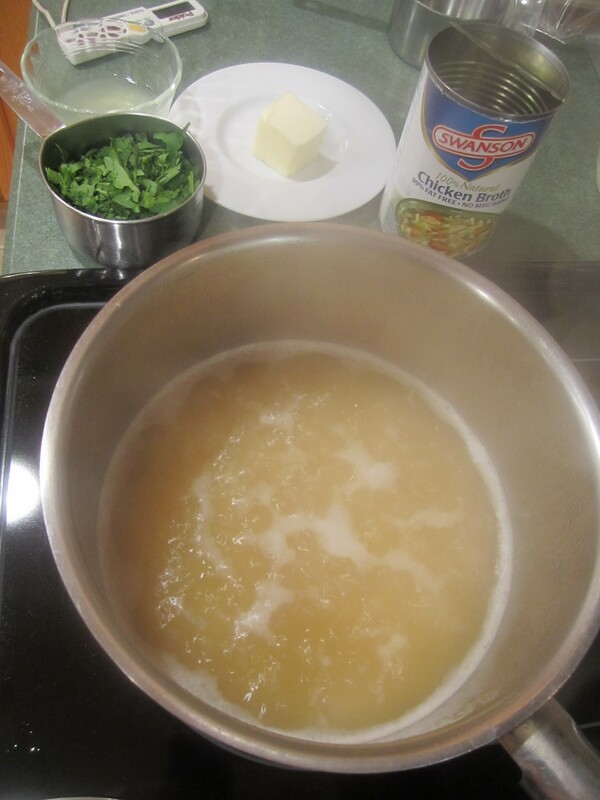 Bring chicken broth to a boil in a medium sauce pan. Add rice, cover and simmer on very low for 15 to 20 minutes until water is absorbed and rice is done. Remove from heat and stir in butter until combined. Add the parsley, green onions if using and lime juice and stir to incorporate. Serve with the chicken thighs.